Will GM get a Lift from Lyft? GM is buying a $500 million stake in car sharing service Lyft. Photo courtesy of www.mytechbits.com. General Motors is making tons of money in an 18 million car year. The company has $25 billion socked away. And their stock price stinks – straight as a string for years as they coin money. On Monday, they announced they were investing $500 million in the distant #2 ride sharing firm, Lyft. With the funding Lyft has a valuation of less than 10% of the $62 billion of industry leader Uber, but with GM President Dan Ammann joining the board, and the former #3 entrant in the ride sharing industry, Sidecar, giving up, it looks like a legit two car race right now in ride sharing. GM is also a player in the driverless car derby, which will be important in the long run for Lyft, but in the immediate future General Motors will have a chance to get more of its cars on the street. Lyft desperately needs more drivers. 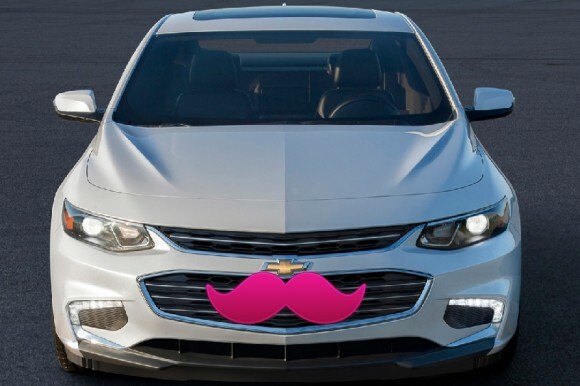 Those drivers, in many cases, cannot afford to buy new cars, but with GM’s assistance in financing and leasing, Lyft will be able to expand its fleet of both cars and drivers. On paper, this is a very clever deal for both parties. GM moves nicely into the ride sharing game without all of the startup headaches. They get more cars in the game and develop some interesting relationships with Lyft partnerships in China, India and Southeast Asia. Ride sharing’s early adopters are in big cities like New York and San Francisco, but GM believes it will soon spread to the suburbs and much, much further. Alcoa has won the fastener sweepstakes with the announcement of a $2.5 billion contract from Boeing over five years. Alcoa has long had close ties with Boeing, but this has to be good news to the many machining firms who work with Alcoa, particularly in the Los Angeles area. Automotive, Aircraft, Medical and Ammunition are the four strongest legs in the machining world now with the commodities crash sapping the gusto from the rest of the market. How long will it take to adjust to the current commodities crash? It is fairly easy to see the oil adjustment phase. Saudi Arabia and Iran are in a near war state. Riyadh keeps pumping oil at $35 a barrel because they can’t stand Iran taking market share when the U.S. sanctions go off. They also need the money. The Iranians probably do not like $35 either, but it is a lot better than not selling into the world market (legally), so they’ll take it. Meanwhile, the rig count keeps dropping in the U.S., even though output is holding up pretty well. The drillers keep the most productive wells pumping so they can pay their bills even at $35. You sell the family jewels to keep the house warm in the winter, if necessary. In the metals world steel scrap is in the toilet, but value added products have not dropped precipitously. It should make for fatter margins for producers like Carpenter and Schmolz & Bickenbach. Cheap natural gas, wind and solar have translated into falling power costs, helping profits for producers and perhaps making them willing to discount for market share. The strong dollar gives an opening to Asian and European producers of value added metal. For the buyers at warehousers like Central Steel it should be a sweet time if they can keep their volumes steady. Germany took in around one million refugees last year from the Middle East. America let in 2500. Did Angela Merkel make the right call? I am fascinated by Merkel’s gamble on refugees. If it works, she wins the Nobel Prize and deserves it. Interestingly, German business leaders really like it. With very few available workers in the country, all of a sudden Germany has a cushion in the workforce. The skills are pretty weak compared to the Turks, who came in the ‘60s and ’70s to fuel the booming economy of that period. But the Syrians can push brooms and clean bathrooms as they start to develop more valuable skills. The Germans are paying them 14,000 Euros a year as they adjust to Bavarian winters. All of that money gets spent quickly on food and necessities, so their economy is getting a nice stimulus as the rest of Europe stagnates. Question: Do you enjoy using ride sharing services like Lyft or Uber? President Obama bailed GM out and the government supposedly recovered all they invested. If President Obama had “half a ball” he would force GM to make the bond holders and stock holders whole that took the bath on their bankruptcy, with this new found wealth of thiers. the kaldeans let the muslims into iran once upon a time – how did that work for them? we have the mexicans . . . germany has the muslims . . . good deal? how about some of the banks and investment firms that were bailed out help to restore some of the lives they ruined . . . when banks were calling in notes and slick mortgages houses sold crummy paper the government . . .
it is “all the kings men” out there . . . buyer beware! Never used either one. It’s been years since I used a taxi. Not sure if I would trust using a ride share. Too many creeps out there. Just read a news story about a guy that gave a woman a ride home, then went back later and raped her.